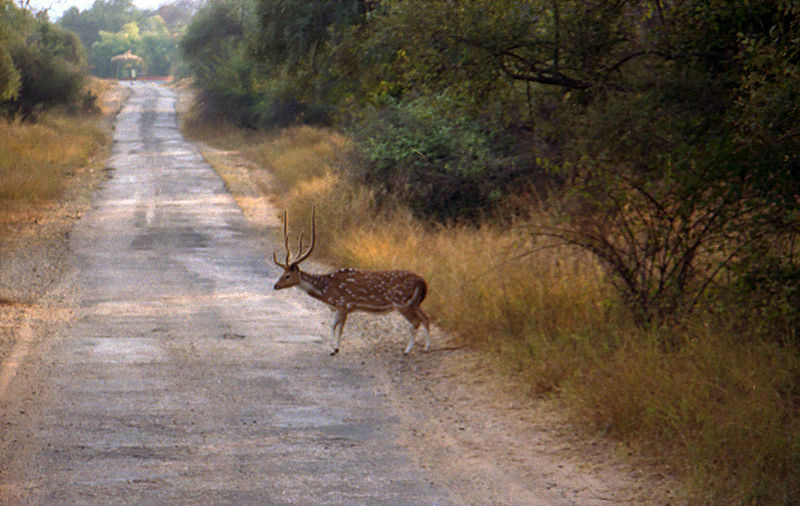 Sariska once the royal reserve of the rulers of Alwar was converted in the Tiger Reserve in 1958 and into a national park in 1982. 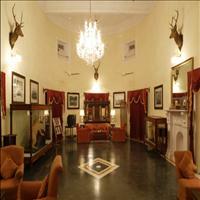 This place is surrounded by history of the rulers from Alwar and the Mughals of Delhi. The beautiful palace, once the jungle resort of the royalties has been converted to a heritage hotel now. The Kankawari Fort and the ancient temple of Shiva add to the legendary background of this erstwhile hunting ground for the royalties.<br />The deciduous forests and the large area are best suited for the habitat of the Tiger and he leopard, which have a healthy population at this National Park. Hardly 100 kms from the capital of Jaipur, this sanctuary falls on the Delhi Jaipur highway. Apart from the tigers and the leopards, the four horned antelope and the spotted deer are found here. The bird life comprises of the pea fowl, gray partridge, quail, sand grouse, tree pie, white breasted kingfisher, golden - backed woodpecker, crested serpent eagle and great Indian horned owl.<br />The beautiful lake of Silserh is at the centre of the sanctuary with a quaint little hunting lodge overlooking it. 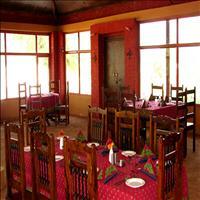 The best time to visit this place is between October to June and it is also just 21 kms from the main town of Alwar. India being the tropical land, houses many of the world&apos;s rarest species, some of them in the endangered list now. The Tiger is one such animal for which the Government has taken ample steps to make its survival in the wild feasible. There are many protected sanctuaries for the Tiger in India where you can have the jungle safari and sight the majestic beast. Another such animal is the One horned Rhinocerous which is found only in Kaziranga. Come and explore this countryside and view the animals in their natural habitats. Tour the jungles of India with this all inclusive jungle tour that takes you across some of the most magnificent wildlife sanctuaries and national parks of the country. Take back some beautiful thrilling memories of a tiger strolling down in its natural surroundings or a view of some of the most colorful birds that you may have ever seen. The trip offers a once in a lifetime chance to encounter the wildlife nature of India at its best.